In December 2017 I had the pleasure of addressing the two-day 'Garrison Towns in the Nineteenth Century Empire' symposium hosted at Victoria University of Wellington as part of the Marsden Fund project Soldiers of Empire. My contribution considered the garrison towns of the Waikato district along what became the boundary between the area conquered and seized by invading British and colonial troops after April 1864 and the Kīngitanga territory to the south of this, beyond the Puniu River. A particular focus was the town of Kihikihi, which continues to have a disproportionately large Māori population today in comparison with other settlements in the region. 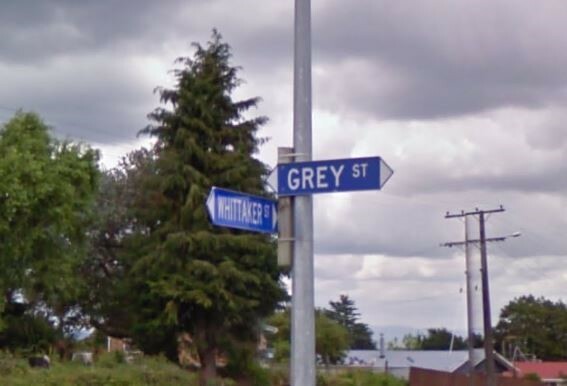 Today, the street signs pay silent homage to the Pākehā politicians and soldiers responsible for its conquest and later confiscation in the Waikato War of 1863-64. Grey, Cameron, Carey, Whitaker and other streets in the small Waikato town of Kihikihi taunt its many (34%) Māori residents with daily reminders of the devastating effects and consequences of that conflict felt over many generations. The settlement that prior to 1863 was principally known for being the home to Ngāti Maniapoto and Ngāti Paretekawa rangatira Rewi Maniapoto became one of many military settlements along the new frontier that separated the Kīngitanga and Crown in its aftermath. Beyond lay the Puniu River and the unsubdued area henceforth known as the King Country. This paper considers the changing social and political dynamics of these Waikato garrison towns in the mid-nineteenth century – from their surprisingly important role in the development of the New Zealand (and Māori) economy prior to the war, through to the quite contrasting experiences of the military settlers in its wake. It asks, beyond street signs, what other remnants of this history remain and how else is the painful legacy of local (and brutal) conflict at nearby Ōrākau and elsewhere marked and recorded? As I concluded in my address, the legacy of the Waikato War is everywhere, not just in the names of Kihikihi’s streets but also arguably in the socio-economic status of many of the region’s Māori residents. And as we enter a post-settlement phase in our history and we contemplate how best to remember and commemorate this history, it’s worth pondering what this might mean for former garrison towns like Kihikihi. That requires more than a change of street signs. It needs a wholesale shift in the way that Pākehā New Zealand engages with the history of the wars fought on our own shores.